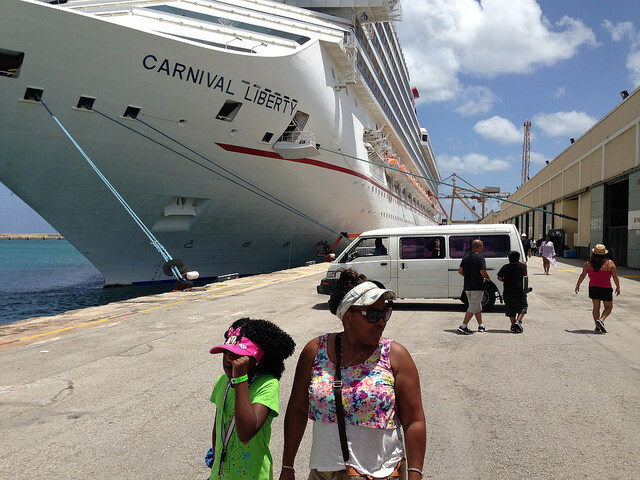 A fall Caribbean cruise vacation is ideal for those families searching for the best cruise deals or best cruise prices. Elsewhere, I told you that a summer Caribbean cruise vacation is the most popular sailing and also the most expensive cruise package you'll find - all inclusive or not. 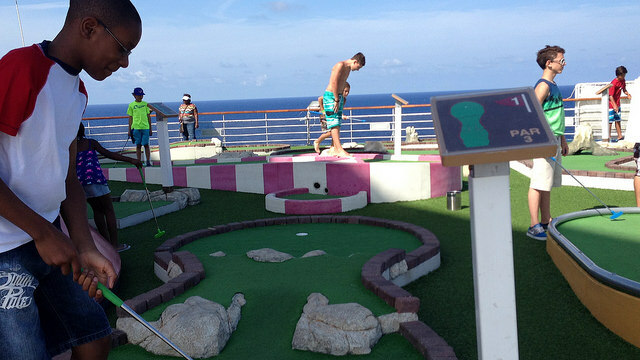 A fall Caribbean cruise package is the opposite. Whereas most people take their family vacations during the summer, not many take vacation during the fall months - September through November. People are busy getting ready for Halloween, Thanksgiving, Christmas and the New Year's festivities. The good news is that fall is therefore the best time to cruise! I know. Someone is already saying, "But my kids are in school!" My children are in school too, except for one week in September. To date, we have taken one Caribbean cruise vacation during fall, but have decided this is the time to sail - as time and other things allow. Why? 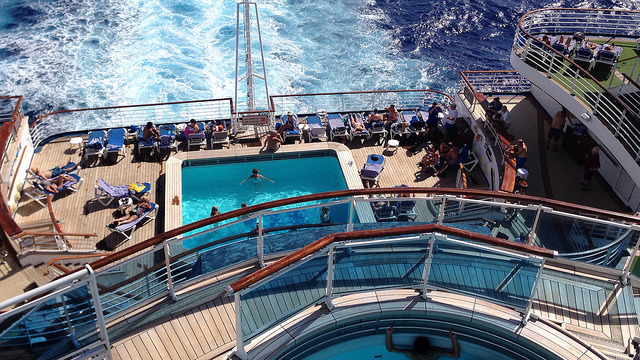 Well, the best cruise prices are found in the fall. You will notice that beginning about the middle of August going all the way through to November - just before Thanksgiving (holiday cruises cost more) - a fall Caribbean cruise package is far less than a summer Caribbean cruise, or one taken in the winter or spring. What makes a fall Caribbean cruise vacation even more appealing is that the temperatures in the Caribbean, while still very high, are not as scorching as in the height of summer. Anyway, while I encourage you to grab one of the best cruise packages offered on fall Caribbean cruise sailings, I understand that most people are unable to enjoy an inclusive family Caribbean cruise during that time of the year. The fact is, fall cruise vacations work best for families whose children are grown (out of school), retirees, families with no children, or people who are self-employed. I urge all of you to check out the great cruise package deals offered on a fall Caribbean cruise vacation. However, if you cannot go in the fall, remember that a Caribbean cruise vacation is great anytime! But for those looking for the best cruise prices, a fall cruise vacation is simply the best way to go. Unlike summer Caribbean cruises where you may not find sailings on some popular cruise lines such as Princess Cruises and Holland America, all of the big names in Caribbean cruises: Carnival Cruise Line, Royal Caribbean International Holland America, Norwegian Cruise Lines, Princess Cruises, and Disney Cruise Line, offer inclusive fall cruise sailings. Some Caribbean cruise lines offer a limited number of sailings, but there are many varied itineraries to choose from. The most popular cruise ports or terminals for fall Caribbean cruise sailings are the Miami Cruise Terminal, Port Everglades (Ft. Lauderdale Cruise Terminal), Port Canaveral (near Orlando) and Tampa Cruise Terminal. You also will find fall cruises to the Caribbean from many other cruise terminals such as New Orleans, Jacksonville and Baltimore, Maryland. 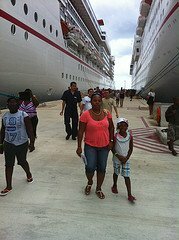 As for Caribbean cruise destinations: there are popular sailings to the Bahamas - mostly 3-day cruises and 4-day cruises. You also will find tons of fall Caribbean cruise sailings to the Eastern Caribbean and Western Caribbean 5-day cruises, 6-day cruises, 7-day cruises and even longer cruise itineraries to southern Caribbean islands such as Aruba and Curacao and to places like the Panama Canal. Why do you find the best cruise deals and best cruise prices in the fall? Simple. Demand is low. As we learned in Economics 101, when demand falls, prices fall. 2. The Atlantic Hurricane Season - The season runs from June through November and many people choose to stay away from the Caribbean Sea during that time (you can always get cruise travel insurance). Consequently, there are fewer bookings and the best cruise prices and cruise deals. You will be happy to know that even a Disney Cruise vacation costs less during the fall months - not much less, but less anyway. Your most expensive fall Caribbean cruise vacation will be one sailing in and around Thanksgiving. 1. Do not book too early. There will be many cabins available and prices get even better, the closer you book. 2. If you have always wanted to try a 7-day Caribbean cruise but the prices deterred you, book one for fall. 3. If you are planning on a Disney cruise vacation, even though fall prices are lower than in the summer, and the kids are in school, Disney cruises still fill up quickly. Therefore, book your Disney cruise months in advance. So, are you looking for the best cruise deals and the best Caribbean cruise prices? Think "fall Caribbean cruise vacation." Are you ready to book your fall Caribbean cruise vacation? Send us a cruise quote request below, or go search on your own. Please note that we are willing to help you search. 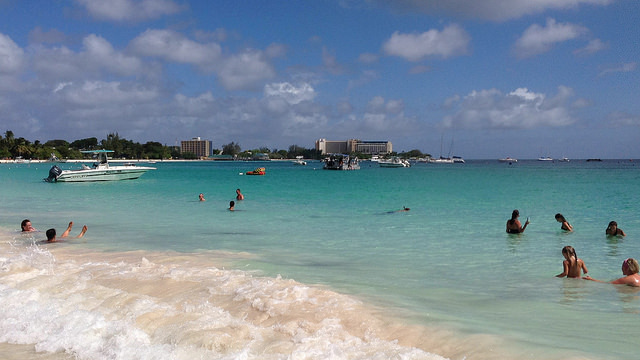 Click here to find a fall Caribbean Cruise Sailing.